Here you find our French Night menu. The ever-popular French Night offers a varied choice of traditional French dishes. From a fixed price menu that changes week by week you can enjoy a three course meal for £20, which includes a complimentary glass of red or white wine. French fancy dress welcome! It should be noted that our French Night Menu is liable to change ever-so slightly, and may not contain the exact dishes described below. We highly recommend booking in advance in order to avoid disappointment! In the face of multiple requests for vouchers for French Night to support various local and charitable events, we decided to produce a voucher for all. 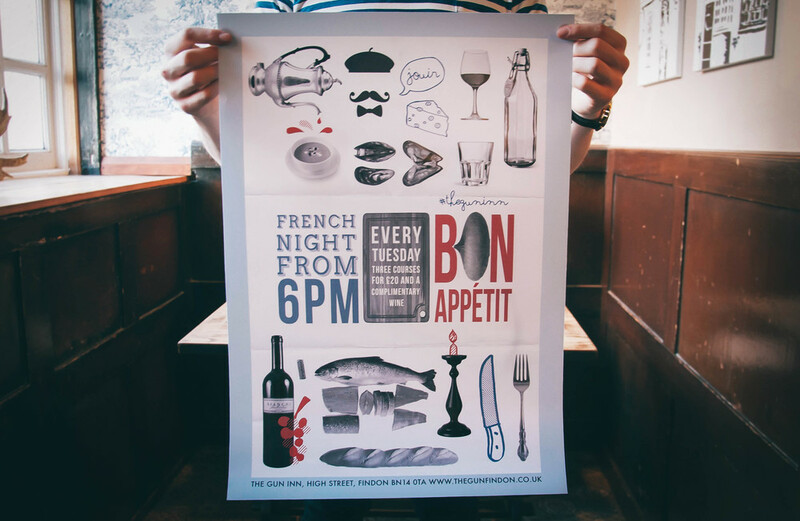 The voucher is available for purchase within the pub only, and makes a worthwhile gift for any French Night fan, Francophile or taunting French Knnnnnig-ht.